Cabinets are made of wood, right? Well, the answer to that is yes and no. Today we’re going to explain the differences and pros and cons of all-wood cabinetry vs. particleboard cabinetry to help you make the best decision for you home. 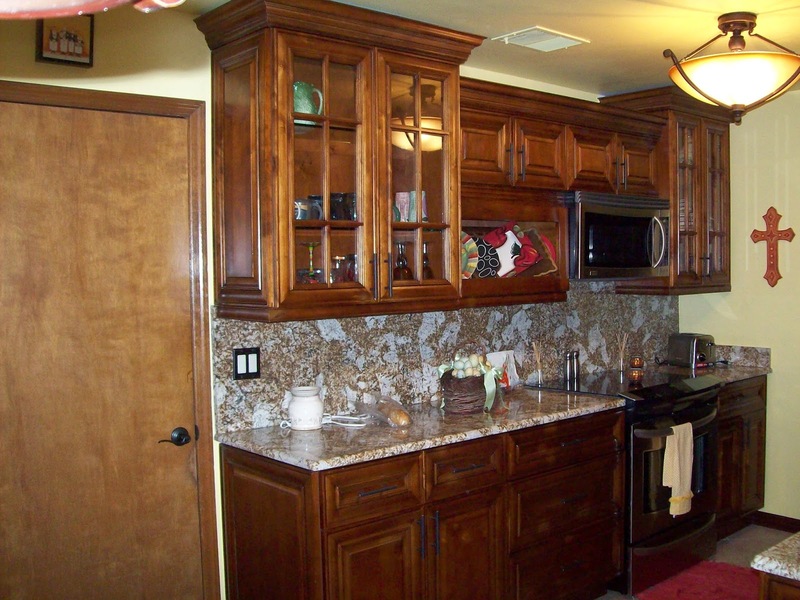 All-wood in the cabinetry world generally refers to plywood. These thin sheets of wood, cut from a log, are glued together in a cross grain pattern to make a composite sheet. Because of the cross grain pattern, plywood is then more stable and heat/moisture resistant than a solid cut wood would be, an important feature in cabinetry. Particleboard is a man-made composite sheet wood product. By combining wood chips and particles with a glue or resin and then shaping/binding them using a mold or extreme pressure, a wood sheet is formed. Particleboard products are classified by their particle size and overall density and are graded based on quality control standards set by the industry. The quality of plywood can vary drastically. 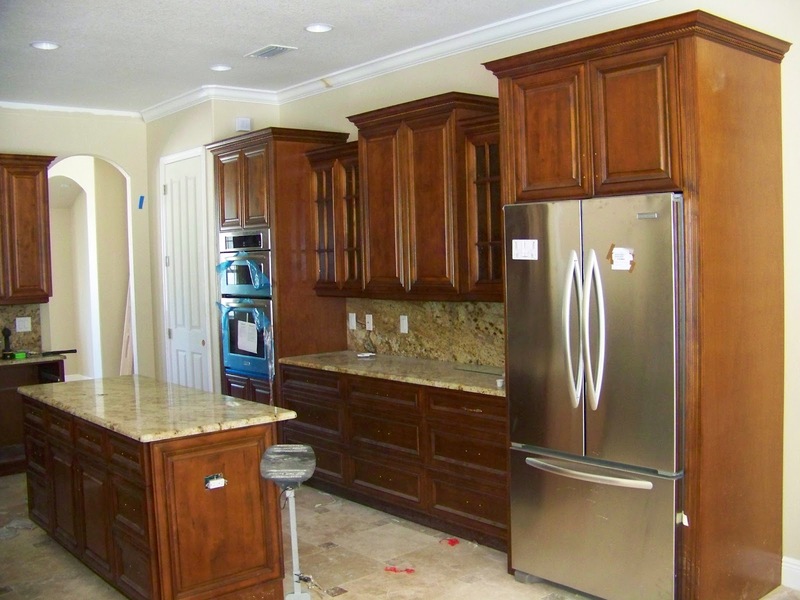 To give particleboard cabinets a finished look, exposed surfaces are then finished with either wood veneers, by painting, or using a laminate. Moisture – One of the biggest differences between the two is how they handle moisture. In a kitchen or bath situation where steam is present, faucets run regularly, water boils, and leaks can happen, the more water repellent the better. Particleboard is typically not good at resisting water and is known to swell and loose structural strength when exposed to moisture. Some types handle it better than others, and thus water damage will vary with the quality of the particleboard. Plywood is significantly more water resistant. Though excessive and long term exposure to water could effect it, its structural integrity will stay in tact over a much longer period of time. Construction – Plywood will generally hold mechanical fasteners (nails, screws) better than particleboard. Plywood also has greater effectiveness in holding glued joints. A glued joint has much better physical properties than a mechanical joint; higher end cabinets are most likely to have glued construction. Strength – Plywood is a stronger material that can hold greater weight than any particleboard, mainly because of the interweaving design of the boards. Though a high quality particleboard certainly can be durable and sturdy, it will scratch and dent more easily and will likely not hold up as long. Cost – Particleboard has the advantage in price. Particleboard is less expensive to create, because the material (wood particles) are often considered waste and the process is more streamlined. 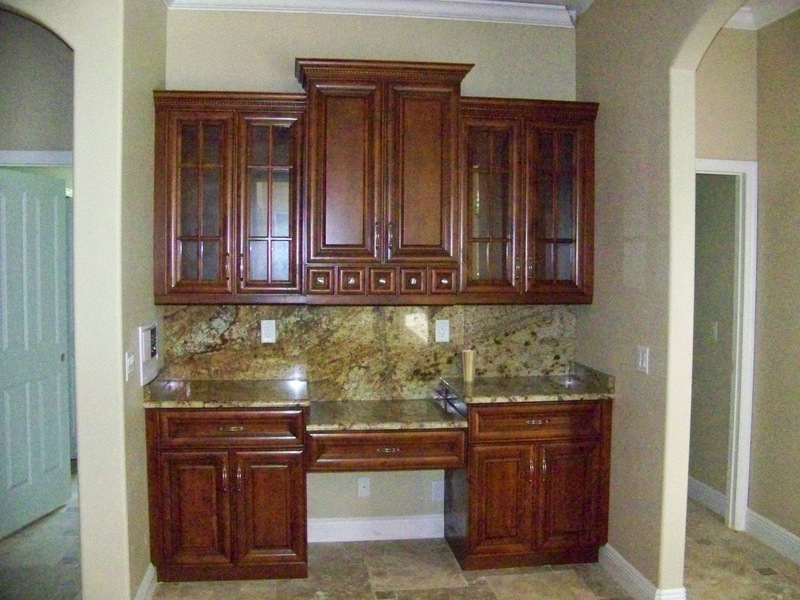 Depending on the cabinet manufacturer the savings of using particleboard construction will range from 10% to 20%. 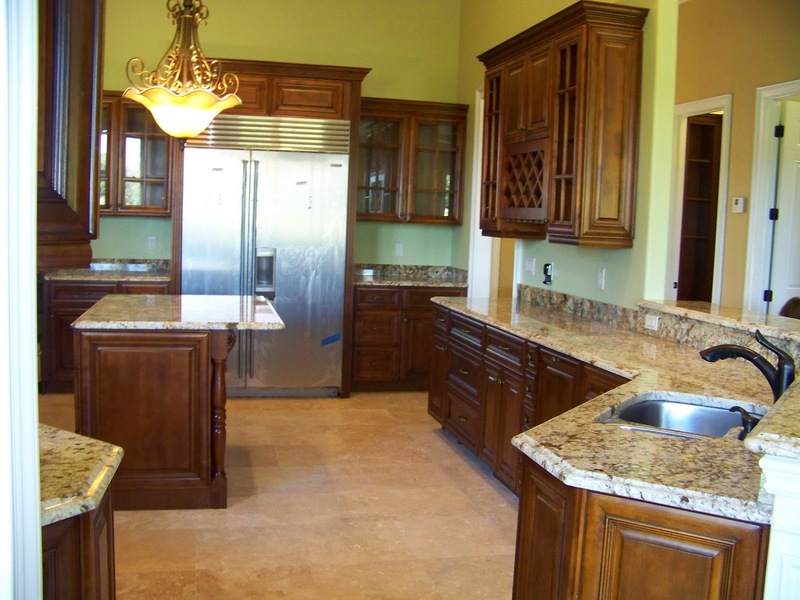 Though all-wood cabinetry will run you a little bit more, deciding which product is the better value for your situation is the bigger decision.